Achromatopsia is a rare form of color blindness that effects one in thirty-five thousand people. One such individual is Neil Harbisson, who was born with the genetic mutation that rob him of the ability to see the world in anything other than black and white. But since 2004, he has been able to “hear” color, thanks to a body modification that has provided with him with a cybernetic third eye. It transposes color into a continuous electronic beep, exploiting the fact that both light and sound are made up of waves of various frequencies. Red, at the bottom of the visual spectrum and with the lowest frequency, sounds the lowest, and violet, at the top, sounds highest. 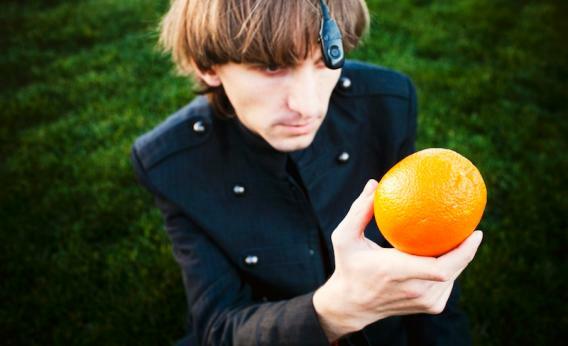 A chip at the back of Harbisson’s head performs the necessary computations, and a pressure-pad allows color-related sound to be conducted to Harbisson’s inner ear through the vibration of his skull, leaving his outer ears free for normal noise. Harbisson, who has perfect pitch, has learned to link these notes back to the colors that produced them. Harbisson’s brain doesn’t convert those sounds back into visual information, so he still doesn’t know exactly what the color blue looks like. But he knows what it sounds like. As he explained to an audience at a TED Talks segment, he used to dress based on appearances. Now, he dresses in a way that sounds good. For example, the pink blazer, blue shirt and yellow pants he was wearing for the talk formed a C Major chord. This may sound like an abstract replacement for actual color perception, but in many ways, the eyeborg surpasses human chromatic perception. For example, the device is capable of distinguishing 360 different hues, he can hear ultraviolet and infrared. So basically, you don’t need a UV index when you have the cybernetic third eye. All you need to do is take a look outside and instantly know if you need sunblock or not. 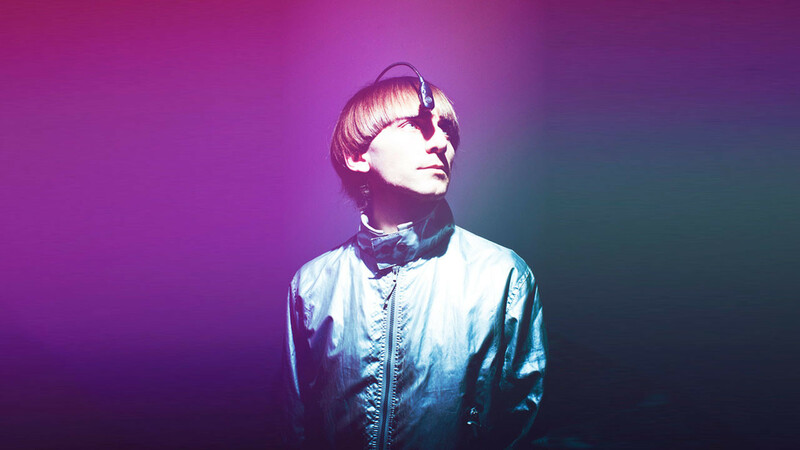 These and other extension of human abilities are what led Harbisson to found the Cyborg Foundation, a society that is working to create cybernetic devices that compensate for and augment human senses. 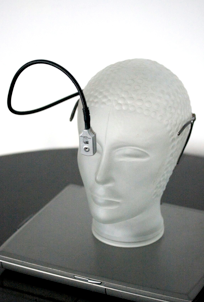 These include the “fingerborg” that replaces a finger with a camera, a “speedborg” that conveys how fast an object is moving with earlobe vibrations and–according to a promotional film–a “cybernetic nose” that allows people to perceive smells through electromagnetic signals. In addition to helping people become cyborgs, the foundation claims to fight for cyborg rights. 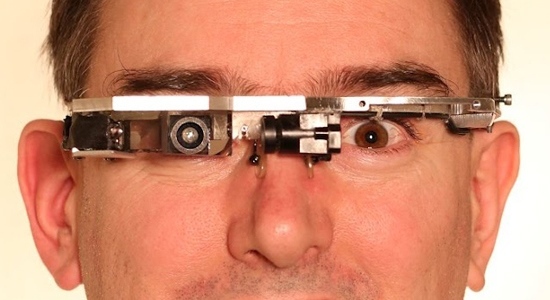 While this might sounds like something out of science fiction, the recent backlash against wearers of Google glasses and the assault on Steve Mann are indications that such a society is increasingly necessary. In addition, Harbisson wants to find ways to fix devices like his eyeborg permanently to his skull, and recharge it with his blood. I wonder if this would take some getting used to…. Well, yes it would. But in time, you’re brain would come to interpret it as regular stimuli, like it did with this guy.